RIT students, faculty, staff and alumni along with residents of the Rochester community take self-guided tours where they explore and discover the new and exciting aspects to the Gene Polisseni Center October 4, 2014. Members of the RIT Corner Crew cheer and sign “R-I-T” in American Sign Language at the new Gene Polisseni Center dedication on October 4, 2014. 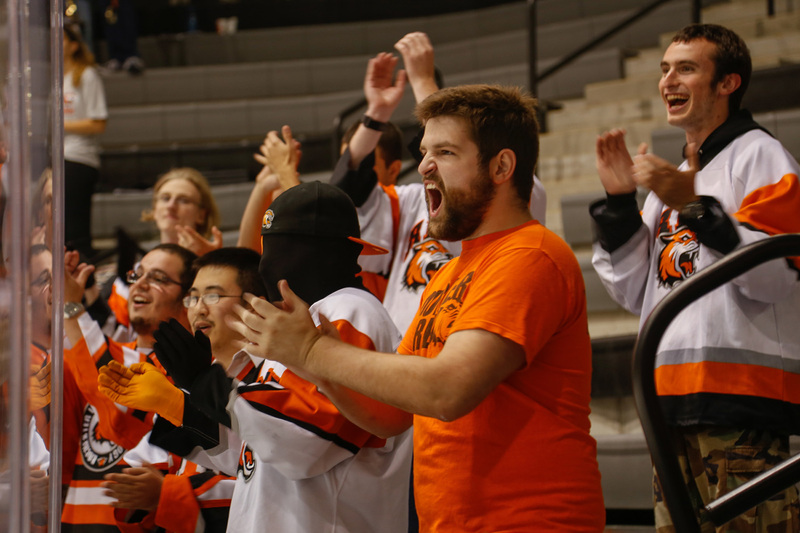 The corner crew plays a large role in RIT Men’s and Woman’s hockey when it comes to their fan base and came to show their support for the new home hockey arena. 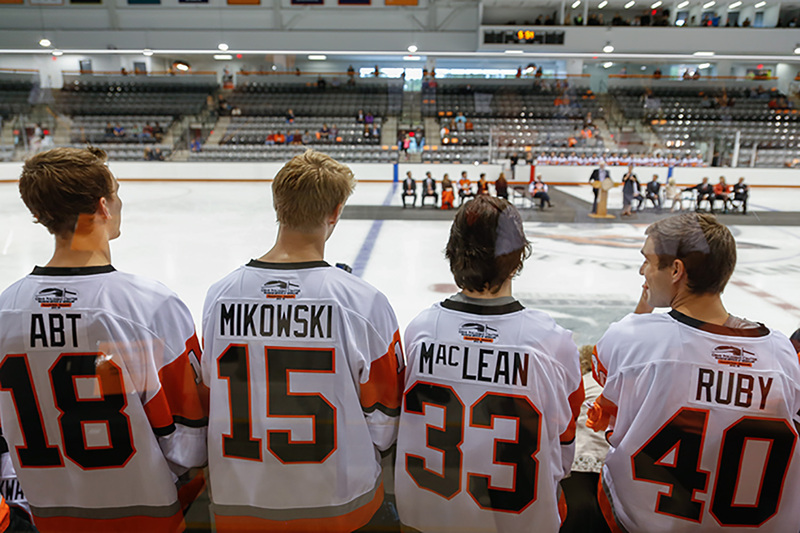 Matt Abt, Max Mikowski, Ken MacLean and Jordan Ruby, all members of the RIT men’s hockey team, attend the dedication of their new home hockey arena. 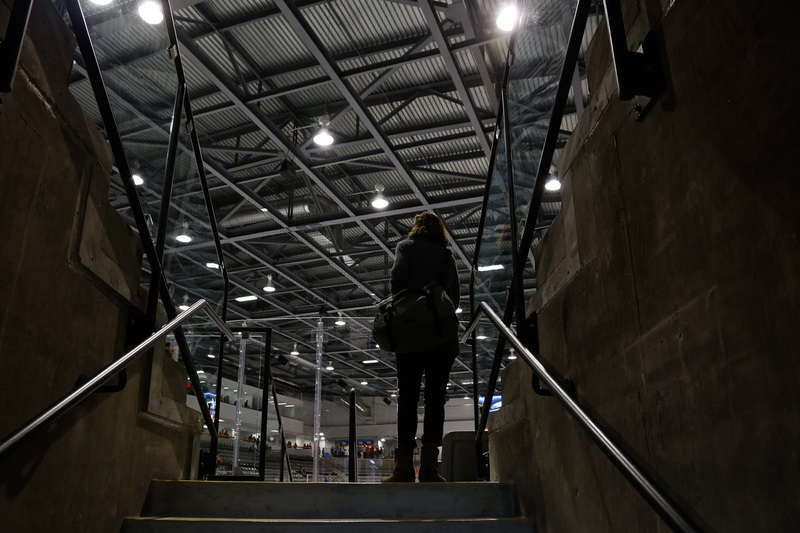 They will play their first game in the new arena October 4. 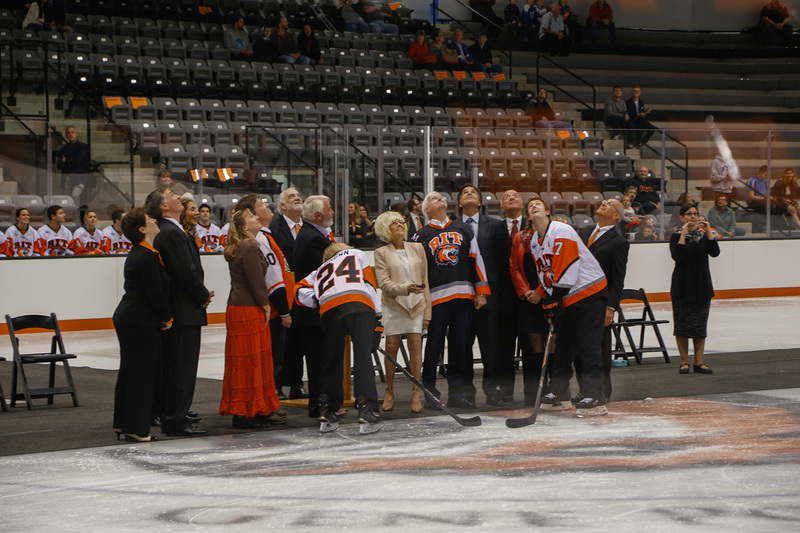 RIT President Bill Destler, Polisseni Center sponsors and members of the RIT men’s and woman's hockey team pose for an overhead photograph before the men’s hockey team makes the first even goal in the brand new home hockey arena. 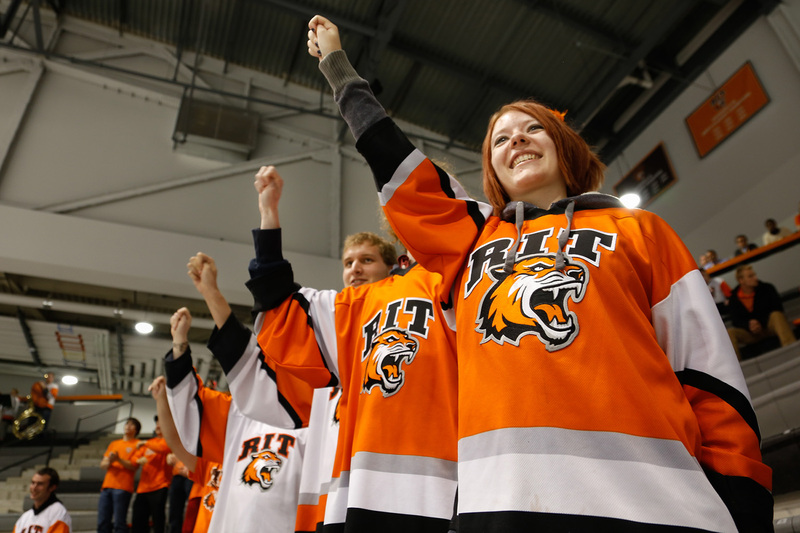 RIT student Ryan Kinney cheers with members of the RIT corner crew during the Gene Polisseni Center Dedication, RIT's new home hockey arena.